NYE Masquerade Look - Happy New Year! Well, there we have it! Another year is wrapped up and a new pile of memories are added to our memory banks; some fabulous and some not so fabulous. I would reminisce a little, but if I'm being completely honest, I'm not very good at looking back and would far rather skip to looking forward to the new year ahead! And so with the ringing in of 2017 just hours away, take my (ice cold) hand and let's jump forwards into the mist in fur jackets and metallic trousers! I hope everyone's had a wonderful Christmas! After the hectic (though magical) build-up to the big day, I've been enjoying every last second of post-turkey relaxation. As others have said, this week before New Year's Day tends to leave you feeling a little lost, so to distract myself from not knowing what day it is and the pile of Roses chocolate wrappers beside me, I've been playing around with some gorgeous new matte shades from Mii Cosmetics. The Passion Matte Lip Lover collection c/o features four long lasting and richly pigmented shades each promising a 'suede-soft finish'. So, what do I think of these new releases? Christmas Gift Giving: Last Minute Time-Saver! One week until Christmas Day! Knowing that, you'll either be totally relaxed and quietly thrilled at the stash of presents you've got hidden in your wardrobe, or you'll be quivering with regret at having left your Christmas shopping until now. If you don't love the idea of hitting the shops just days before Christmas Day (who does? ), read on for a quick lifebuoy before the new week starts. Gift wrapped and with 15% discount using my code, you could give the gift of Daniel Wellington this Christmas! As a general rule, I tend to overdress rather than play it cool (personal preference), though I can't help but wonder how much time it would save us all if we were described an exact dress code before an occasion? Sure, most invitations come with the totally vague 'smart casual' dress code attached, but that's far more useful to men than it is women! And so with winter events filling our calendars such as festive parties, family meals, drinks with girlfriends and general Christmas gatherings, I've done some thinking as to how we can hedge our bets by sitting comfortably somewhere in the middle of the scale. 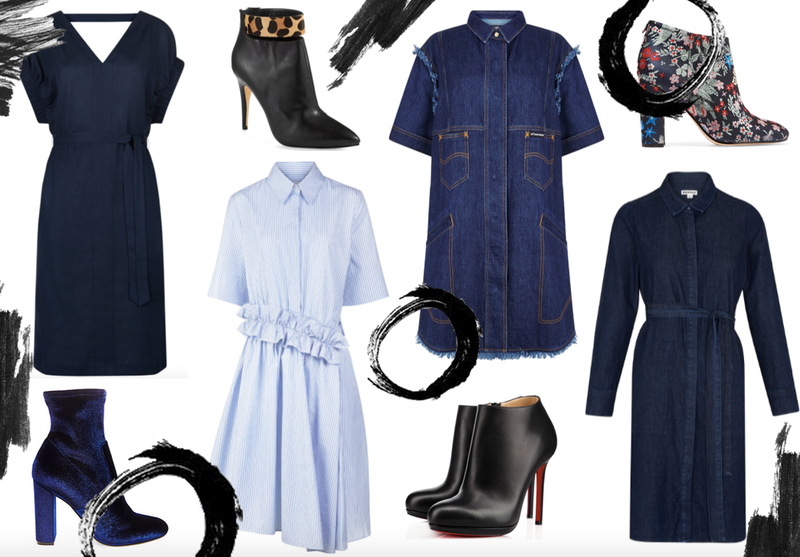 For those who love to dress up, but don't fancy the risk of being a disco ball in a sea of jeans! After sharing a DIY on A Glass Of Ice for Glitter Rim Drinks last month, I started thinking about other ways in which you can take the hassle out of being the hostess. I'm all for high-impact recipes that are (secretly) quick and easy to create, and so I've put a few of my favourite simple appetizers together in this post that have proven to be quick to assemble - and tasty! Should you find yourself rushing around the kitchen at some point this season, perhaps for relatives arriving on your doorstep or for a friend's Christmas party (ooh that dreaded line: 'bring along a dish'), I hope these refreshing appetisers will give you more time to curl your hair and perfect your winged liner! So, we're just a few days into December and already the festive season has been completely magical! Last week I spent a few days in Germany at the heart of Cologne as per annual tradition. Having visited at Christmastime each year for as long as I can remember, the city now holds a very special place in my heart, and I've been so looking forward to sharing this year's experience with you. 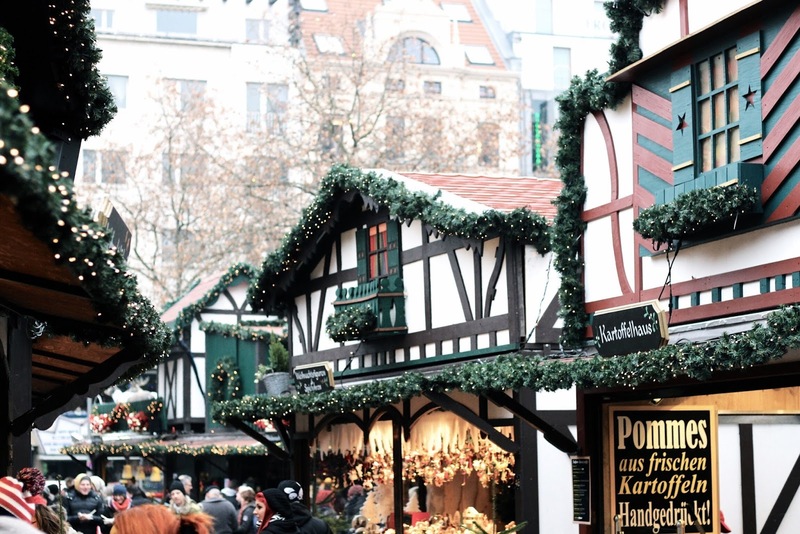 Considering how festive markets (weihnachtsmarkt) are becoming increasingly popular, I've divided this travel diary into a guide through my favourite Christmas Markets in Cologne, as well as my personal recommendation on where best to stay. Enjoy! It's that time of year again where I track down a load of super pretty treats and bundle them all together into one shiny post - say hello to this year's Christmas Gift Guide for Women! Similar to my Christmas Gift Guide for Men, I've put together about ten gift suggestions, all of which could make fabulous stocking fillers - both in size, and price. I can't help but notice I've been attracted by pastel colours this year, though in my defence the gifts are just as pretty on the inside. I'll hold my hands up and say I've never found it easy shopping for men. Ever. However, this year I've kicked myself into action a little earlier than usual by looking for gift inspiration here, there and everywhere for the past few weeks. So, if you don't fancy spending an entire weekend hopping from site to site, run your eye over my Christmas gift guide for men and cherry-pick gifts for the guys in your life. Most of the options make for ideal stocking fillers, with the exception of a couple of larger treats perfect for popping underneath the Christmas tree. With my obsession with pom pom beanie hats only growing stronger, I've had to counteract my multicoloured collection by finding other ways to keep my head warm this winter. Hmm, I have a feeling this may be the first time I've worn a wide-brimmed hat outside of summer - though I'm certain it won't be the last! I feel as though winter still gets a bad rep when it comes to styling, though it's totally unwarranted while textures such as suede, leather (faux, in this case) and shearling are there for the taking! So, I've been fairly quiet on social media this week - but with good reason! I found myself spending some time in Richmond after passing through for the hundredth time last month and becoming more and more curious ever since. After a fair bit of research, it quickly became apparent there's a lot to do in the area. However with just 24 hours (give or take!) to explore, I've broken the brief visit into three parts: Ham House and Garden, a stay at the Richmond Hill Hotel and a visit to Richmond Park. Anticipate a three-course menu for a slow-paced winter stay in Richmond - with some tasty food, satin pyjamas and deer thrown in for good measure! As much as I love to experiment with denim, I realised recently just how predictable I'd become when it comes to purchasing jeans. Skinny jeans and more skinny jeans. However, after having been surprised with a voucher from Jaeger after winning their #JaegerStyle competition with a bardot top and denim pencil skirt, I seized the opportunity to change my (bad) habit. I'll be introducing my other style selections over the next month or so, but for now I'm fixated on these gorgeous flared jeans, another Donna Ida for Jaeger design that has worked its way into my cold-weather wardrobe! As many people have said before, this time of year offers a fresh perspective. I still haven't quite worked out why that's the case (any ideas? ), and yet here I am revisiting and tweaking most things in some way. One of those 'things' is my wardrobe. Last season's wardrobe changeover was fairly straight forward, however this Autumn I'm looking at so many of my clothes and wondering why on earth I've held onto them! As I said, fresh perspective. And the timing couldn't have been better, as Boohoo offered to help me declutter through their current partnering with selected charities; giving second life to old clothing by donating, and trying out a new style. Out with the old, in with the new! See that look of concentration? Well, that was me last night attempting to move one track into the next. Move? Merge? Fade? I don't even know, but I loved every second of Passionata's DJ event. To celebrate the brand's new season theme of music, I was invited along to their showroom to check out the new collection, get fitted and have a mini DJ class. DJ class? This was a whole new experience and one I hadn't guessed I'd try in my lifetime, though a handful of marshmallows later (and sure, a glass or two of prosecco), and I was up and raring to go! As a general rule, I'm pretty good at staying true to my word and doing what I say I'll do. However, in the case of putting together a wreath for Autumn, it's been a long time coming. And I mean a long time. It was around this time last year I considered designing a wreath rich with colour for Autumn - though better late than never, right? Sure, wreaths are most commonly associated with the festive season, but bringing the craft into another season can't hurt! For those also wanting to create something warm and colourful to hang on their front door (like a big enthusiastic wave that says 'Hey! I'll celebrate anything! ), I've put together a 20 minute Autumn wreath DIY. I'll be honest with you, I'm one of those people who throw themselves head first into every season. The very beginning of this month saw me stock up on multi-wick candles and save DIY Halloween posts to my favourites, and so you can pretty much guess my stance on Christmas. You did notice I visited Käthe Wohlfahrt's Christmas shop while in Bruges, right? So, to go hand-in-hand with the A/W collections causing a stir right now, I'm grouping the two seasons together and beginning preparations. Personally speaking, this means continuing my obscene collection of candles, becoming reacquainted with open fires after long, chilly walks and most excitingly of all, starting to build on that Autumn-Winter wardrobe! Continuing on from Part One of my Lake District adventures, each day continued to massively differ from the next. Just as I had remembered from my last stay in the area (many years ago), the weather can be bright one day and deliver torrential rain the next. I'll admit to having a serious soft spot for bad weather, I don't mean sprinklings of rain and cloud, but rather the kind of massive downpours that have you looking for cover and clouds that quickly descend over your surroundings! Having said that, after a couple of days of beautifully eerie weather, a break of sunshine provided the perfect opportunity to walk to Rydal Mount, the former home of poet William Wordsworth. Whenever I find myself in an apron, I'm usually in the middle of making something sweet. However, I'm by no means a magician in the kitchen. It's because of this I've been in an endless cycle of baking some of the easier sweet treats everyone enjoys such as cookies and sponge cakes, and turning my back on the harder (and undeniably more exciting) recipes. Something I've been dying to try my hand at for months now is macarons, though scared myself off the idea after watching videos online cursing 'pre-separated egg whites' and 'inaccurate almond ratios'. That's where this perfectly curated gluten-free Macaron Making Kit c/o by Mon Dessert comes into play, including pretty much everything you need to reach a delicious outcome. Oh, and did I mention the kit includes gold dust? I've been fairly quiet of late thanks to an impossibly relaxing week or so spent in the Lake District; long walks followed by hearty meals and vice versa. However, once again I've returned home to an abundance of sunshine and yet another gentle reminder that summer is still holding on. I mentioned last month that I'd most likely be flip-flopping between clinging onto summer and embracing the upcoming Autumn and well, I suppose this post is evidence of exactly that! And so, as a final farewell to bare arms and sun-kissed skin (yeah, I'm practically translucent come winter), I've popped on this gorgeous floral printed dress from JOY The Store to walk through some of this season's most beautiful heather. Ah! I can't keep up! We're halfway through August and I'm still leafing through my wardrobe wondering which floral midi skirts and sleeveless bodies to pick up next ready for the warm weather. Pretty soon it'll be a case of digging out the cosier clothing (I'll confess, I'm already wearing fluffy socks while typing this), though until then I'm determined to squeeze every last drop out of the summer season! As fate would have it, a rather pretty arrival from Chi Chi coincided perfectly with my overwhelming desire to immerse myself in a game of croquet. Let's play! Having not visited the beautiful French alpine town of Annecy for quite a few years, I was super excited to return and see whether it lived up to my memories. Truth be told, as much as I love to see how some places rapidly develop and modernise, Annecy is one of those very, very special locations I couldn't bear to see change too much. The cobbled streets and mountain views have an indisputable calming effect on me; so to have embarked on a road trip and spent 24 hours (or so) in the town was an undeniable highlight of my summer! Although I've loved having a little more colour in my cheeks lately, my skin has been feeling much drier due to sporadically throwing my skincare regime out the window while exploring France last month. I know, I know, and I can't even come up with a decent excuse! Short city breaks are no problem and I still find myself happily lining up my lotions and potions in hotel bathrooms. However, as soon as I'm aware of the stay's duration entering double digits, the glass pots go flying out of the window (not literally, that would be tragic). In an attempt to undo the naughtiness, for the past week or so I've been using 100% natural skincare products by Skincere. So the question is, how have they been performing? After the French flags and ice cream of Part One, and moored boats and calzone of Part Two, Part Three delves into Saint-Tropez's world of pastel coloured buildings and infectious atmosphere! As my time in the South of France drew to a close, I did my absolute best to shake off any sense of premature deflation over leaving the Côte d'Azur. Instead, I chose to live in the moment, even if one of those moments consisted of slipping on the villa's infinity pool edge and hurting my elbow quite a bit - oops!